Are you getting consent from your website visitors for the cookies on your Divi website? In the EU the Cookie Law (a piece of privacy legislation) requires all websites to get consent from their users. You use plugins or technology to make your audiences web experience more personal. You are using website analytics such as Google Analytics. You have advertising such as Google Adwords on your website. These are just a few examples of situations where you may have cookies on your website. Cookies can be found in all kinds of WordPress services and plugins to enhance your user experience so be sure to check to see if you are collecting information from your visitors. 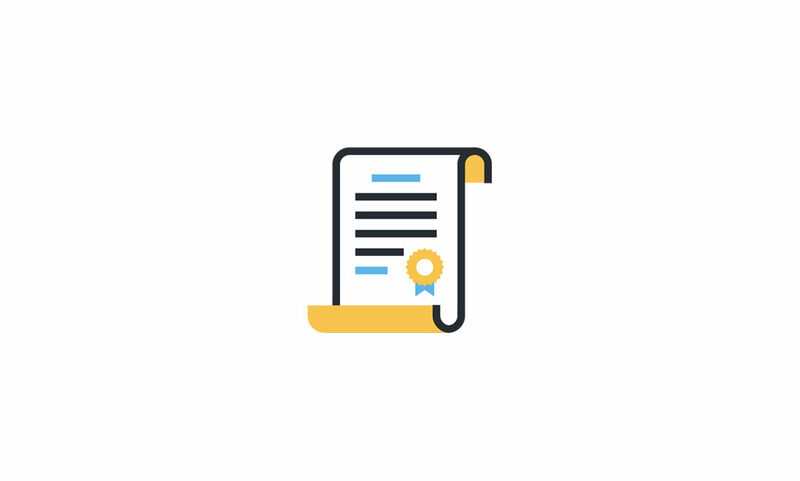 In this guide we will use an easy-to-implement tool that can help you meet the legal obligations to get user consent. Cookies are stored in your web browser and allow websites to remember little bits of information about you. They are most widely used to enhance your web experience and personalise it, which can mostly be seen as a positive thing. As an example, a website like Amazon might store cookies in your browser and remember that you are looking for a new hairdryer. You don’t buy one right away but a few days later you are browsing your favourite blog and you see an advert from Amazon; it’s the exact hair dryer you were looking at except now it’s on sale. These kinds of cookies are used to profile your behaviour so they can show you adverts that are personal to you. This is just one example of how cookies can be used and there are many others. Websites are now required to inform and get consent from their users as it improves transparency and gives people more control over their online privacy. Curious to find out more about cookies? Check out Cookiepedia for plenty of information and resources relating to cookies. The EU Cookie Law requires all websites to get consent for visitors in order to store and retrieve information (such as cookies) from their computer, tablet or smartphone. The purpose is to give people more control over their online privacy and make them aware of how their information is being collected and used online. As a Divi website owner you will have to make sure that your site complies with the law so that you don’t risk any enforcement actions or fines against you. While this may seem like a hassle it also has the additional benefit of making your website more trustworthy to your audience as they will see that you are taking steps to protect their privacy. Luckily the changes that you need to make to your Divi website are small and can be done in less than 10 minutes by following this guide. Obtain their consent and give them some control. 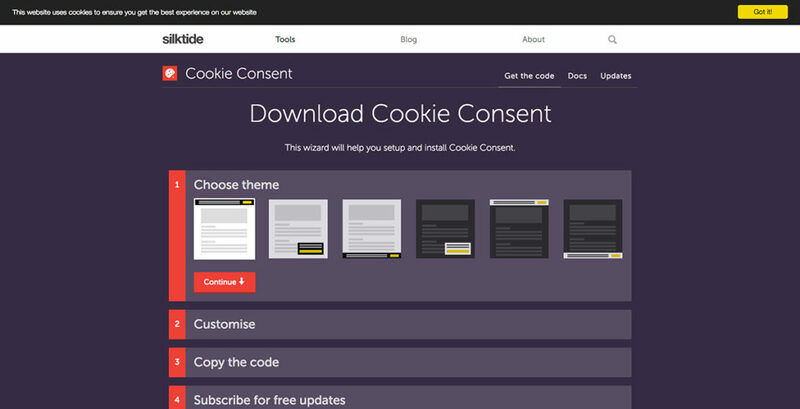 There are several options for adding a cookie consent to your Divi website but, for the purposes of this guide, we will use one of the most popular solutions to the EU Cookie Law by silktide.com. 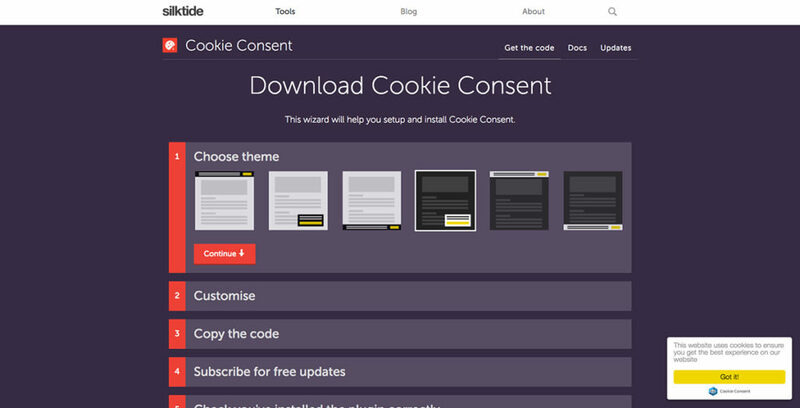 Head over to the free Cookie Consent tool by Silktide and start the online wizard. In step one of the online wizard you will be able to choose the theme of your cookie consent. At the time of this article there are currently six to choose from, three for light coloured websites and three for dark. There are three distinct styles that you get to pick from depending on how you would like it to appear on your website. All of these styles are designed to comply with the EU Cookie Law. The Cookie Consent is designed to stand out to your visitors. If you have a light coloured website use the dark coloured Cookie Consent and if you have a dark coloured website you should use the light coloured Cookie Consent. Once you are happy with your selection click on ‘Continue’ to proceed to the next step. 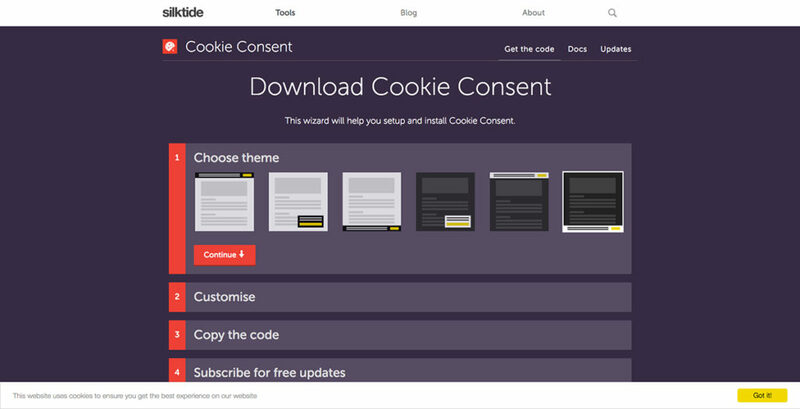 You now have the option to customise what text the Cookie Consent displays on your website. For most people the default text will be suitable but if you’d like to change it simply click on the ‘Customise the text’ button. When you are ready, click ‘Continue’. Next, simply copy all of the code that is provided. And we’re done with the Silktide website for now. Do keep the page open though as you may come back to it later to test that your code is working. 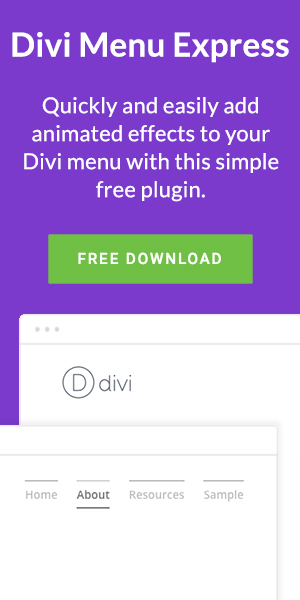 Sign in to your Divi WordPress website and then find the Divi > Theme Options menu. 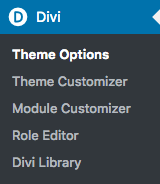 At the top of the Divi Theme Options page find the ‘Integrations’ tab. By default ‘Enable header code’ should already be enabled, but if it isn’t then go ahead and enable it. Find the section labelled ‘Add code to the < head > of your blog’ and paste the full Cookie Consent code that you copied from Silktide. The easiest way to confirm that your new Cookie Consent is working properly is to open up your home page and see if it appears. The notification should slide in almost immediately and you will be able to dismiss it just like your visitors will. Remember though, when you dismiss the notification it won’t come back so be sure you are happy with it. Alternatively you can open up the Silktide page from earlier and on step 5 of their wizard you have the option to test your cookie compliance code. This links to an external website called Sitebeam who also offer paid tests for SEO, social accessibility and more. If you’ve followed all of these steps then you should now have a cookie consent feature on your website that complies with the EU Cookie Law. Congrats!